When Johnnie Murphy was 9 years old, his mom, Natalie, started to notice he didn’t seem to feel well whenever it came time to eat. It wasn’t until Johnnie’s older brother brought it to his parents’ attention that Johnnie was vomiting and having diarrhea on a semi regular basis that they realized something more serious was going on. The Murphys sought the advice of Akron Children’s gastroenterologist John Fyda, who ran a battery of tests to determine what was wrong. Johnnie was eventually diagnosed with Crohn’s disease, a type of irritable bowel disease that causes inflammation and attacks the digestive system. It’s often very painful and currently there is no cure. Now 13 years old and a 7th grader at St. Paul School in North Canton, Johnnie has more than learned to live with a disease that had him wondering as a 9 year old if he was going to die. For the last 4 years Johnnie has participated in the Take Steps Walk for Crohn’s and Colitis, raising more than $15,000 and receiving the Kohl’s Cares for Kids award and the Youth Honored Hero award through the Crohn’s and Colitis Foundation of America. Just this year he started his “Johnnie Cares” campaign by making and selling his own stationery. Currently a patient of Dr. Matthew Wyneski, Johnnie is seen every 3 to 6 months in the gastroenterology department at Akron Children’s. 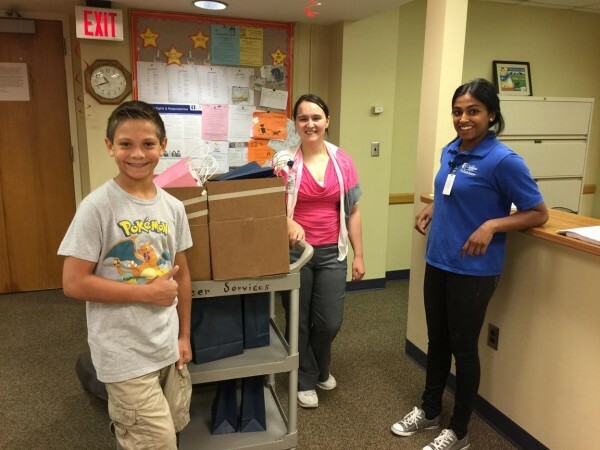 For Johnnie’s 13th birthday this past August he skipped having a party and instead asked his friends to bring money to shop for comfort items for the bags. Johnnie makes bags for 2 age groups – 6 and under and ages 6 to 10 – with each bag valued around $5. Johnnie, whose Chrohn’s disease is well controlled by medication and diet, works with the Northeast Ohio Chapter of the Crohn’s and Colitis Foundation as a peer mentor to kids who are newly diagnosed. Natalie tears up when talking about her son’s amazing heart. Even with Crohn’s, Johnnie has fought to have a normal life and continues to play hockey and lacrosse. He’s also on his school’s Lego league robotics team. He recently learned that the Crohn’s and Colitis Foundation is partnering with the Disney World Half Marathon in Orlando, Fla., and now he has a new goal. 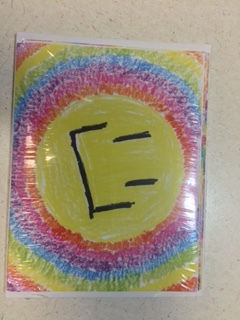 If you’d like to support Johnnie, his smiley face notecards sell for $5 for a pack of 6. For more information, email Natalie at larryandnataliemurphy@gmail.com.